Junkfood Science: Yes, they actually make this stuff up! Yes, they actually make this stuff up! Tragically, parents were given another bogus scare today, as news warned that fat babies could die from SIDS. Before new parents panic, they’ll want to learn the source for this story. It wasn’t based on any research, but the most illogical contortions of the evidence, speculations and scaremongering. FAT babies may be at higher risk of Sudden Infant Death Syndrome (SIDS) because their extra body weight suffocates them and restricts their ability to move, according to a top Australian pathologist. The warning, which comes as the weight of new mothers and babies rockets to record levels, is surprising, because until now it was believed that low-weight babies were most at risk. Professor Roger Byard, a chief pathologist who specialises in SIDS at the University of Adelaide, reveals fears about the potentially-fatal effects of maternal obesity in the latest edition of the Journal of Paediatrics and Child Health. Professor Byard’s name may be familiar to readers as he was quoted by Reuters earlier this month, saying that fat dead people in Australia were creating a safety hazard at mortuaries and “urgent action is required at the highest level to change unhealthy lifestyle habits by improving diet, increasing physical activity and making our environments supportive of these objectives.” This, or course, clashed with the latest NSW Health report that most Australians are eating the recommended servings of fruits and vegetables and exercising; and the findings of the Australian Bureau of Statistics that Australians are among the longest-living people in the world, even though they’re the fattest. In many communities there have been recent increases in cases of maternal obesity with studies showing corresponding increases in numbers of obese infants....While an increase in obstructive sleep apnea has been shown to be associated with obesity in childhood, the situation in infants has not been fully explored.... Is it possible that markedly obese infants may be less able to move from the prone position, may have upper airway narrowing, and may have abnormal pulmonary function, particularly when prone? 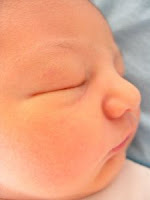 Although previous studies have not shown a relationship between obesity and SIDS, with infants dying of SIDS often having low birth weights, perhaps it is opportune to examine the possibility that larger body masses could be an effect modifier or even a risk factor for sudden infant death by compromising movement and respiratory function. Besides a lot of may bes and could bes, is there any evidence to support any of these scary speculations? Is there an epidemic of fat babies dying of SIDS? Are rates of SIDS even rising? No, no, and no. SIDS is the tragic and unexpected death of a baby under one year of age for which no cause is ever found. Parents are left grieving and devastated, and often worry that they are to blame. Instead of using these heartbreaking and frightening deaths and the worries of new parents at one of the most vulnerable times of their lives to make insupportable conjectures, parents deserve the soundest facts available. While the specific cause remains unknown, he explained, “population-based studies conducted in centers in Great Britain, Scandinavia, Australia, and New Zealand in the late 1980s and early 1990s... demonstrated that the risk of SIDS was highest for prone (ie, tummy-down) sleeping infants, intermediate for side-sleeping infants, and lowest for infants placed supine for sleep.” World-wide public health campaigns followed, advising parents to place infants on their backs to sleep, and the prevalence of SIDS dropped dramatically, said Dr. Carolan. Here in the U.S., the National Institutes of Child Health and Human Development issued an advisory in 1992, which was followed by the federal "Back to Sleep" campaign launched in the Spring of 1994. Parents heeded the advice and the babies sleeping on their tummies went from 75% in 1992 to a mere 11% in 2002. This proved to be a public health message that saved lives around the world. SIDS rates in the U.S., for example, fell by 58%! According to the National Vital Statistics Reports, National Center for Health Statistics at the Centers for Disease Control and Prevention, infant deaths from SIDS went from 1.30/1,000 live births in 1990 to an historic low of 0.55/1,000 live births in 2004. If increasing numbers of fat babies were really a concern relative to SIDS, then we should see rising rates of SIDS, not the opposite! In fact, for decades, researchers and SIDS monitoring programs have found no relationship between birth weight and SIDS. Weight gain after birth is also normal and no different among SIDS babies. A baby’s age is the biggest risk for SIDS, with two-thirds of deaths occurring in the first 4 months of life and 95% by 8 months. The babies are typically born full-term with no history of significant pregnancy-related complications, said Dr. Carolan. About 12-20% are born prematurely or low-birth rate. But SIDS babies are “thought to be feeding well and gaining weight normally,” he said. There’s usually no outward sign of any health concern, although about 70% had a minor viral infection the week preceding. There is no evidence that fat babies are at higher risk of SIDS. Please mothers, don’t take your healthcare advice from the media or let the anti-fat hysteria frighten you into making decisions that might not be best for you or your baby. ·Always place babies on their backs to sleep — nap time and night time. · Place your baby on a firm sleep surface, such as a safety-approved crib mattress covered with a fitted sheet. 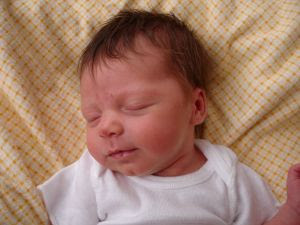 Avoid placing a newborn on a pillow, quilt, sheepskin, or other soft surface. · Keep soft objects, toys, and loose bedding out of your baby’s sleep area and away from the face. · Keep your baby from becoming overheated during sleep. Dress your baby in light sleepwear and keep the room at a temperature that is comfortable for you. · Consider using a pacifier when placing your baby down to sleep, but don’t force the baby to take it if he/she spits it out.